This Noise Is Ours: Heavy Traffic/The Mad Doctors - Split 7"
Heavy Traffic/The Mad Doctors - Split 7"
Last night's review left me with a yearning for some sludge/stoner/fuzz. It's probably due to the fact that my brain if pretty much worn out already this week. 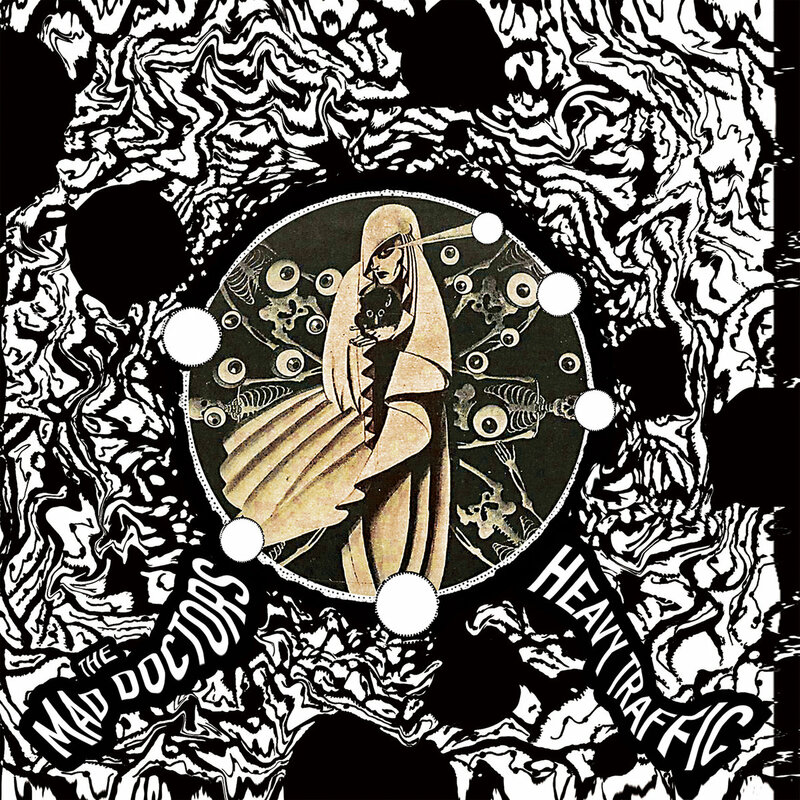 Here's a new split 7" featuring Heavy Traffic and The Mad Doctors, both from Brooklyn, NY. I chose this because neither band has featured here before and because I liked the cover art. Heavy Traffic seems to have been releasing their own brand of psychedelic doom since 2014, releasing five digital full-lengths within two years. Their sixth full-length "Plastic Surgery" was released in December 2016 and was the first to appear in physical form, on both tape and vinyl. 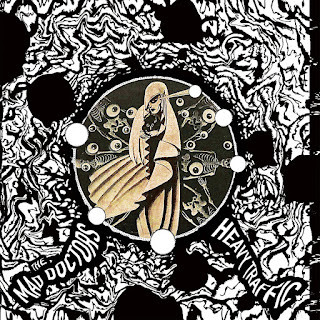 The Mad Doctors formed in 2013 and have released a steady stream of noise themselves, with one EP, two LPs and two splits to their name prior to this one. They joined forces for this one earlier this year with the official release taking place last month via Twin Earth Records and King Pizza Records. This is a little bit different. Heavy Traffic are pretty much exactly as they described they would be on Daylight Ripoff. Psychedelic doom, traditional metal and noisy punk converging in various forms to create something that takes the retro sound of old and injects it with extra weirdness. The instrumentation is noisy and the vocals are spaced-out and clean. It’s ends abruptly but it’s way cool. The Mad Doctors are equally as bizarre on Yuengling Malmsteen, taking a surf-rock blueprint and warping it out of shape with equal amounts of punk and noise. The clean guitar works really well and they play at a more upbeat tempo. It’s hard to come up with any obvious comparisons, just as it is with Heavy Traffic. Both bands sound pretty original to me. This is just a split from two bands that are having fun writing the music they want to and we’re lucky that they’ve invited us along for the ride. I just hope that the “hipster” set in New York doesn’t cotton onto them and end up diluting their music. TV Crime - Clocking In/Clocking Out 7"
Under Assault - Possessed By Steel 7"
Tdoafs/Duct Hearts - Split 6"
Sutekh Hexen/BLSPHM - Split 7"
Rutsa - Rauha Ja Tasapaino 7"